Kylie Jenner, 21, a member of the Kardashian, who started out peddling $29 lip kits in 2015, sold an estimated $360 million worth of Kylie Cosmetics in 2018, has become the youngest self-made billionaire with the net worth of $1 billion. 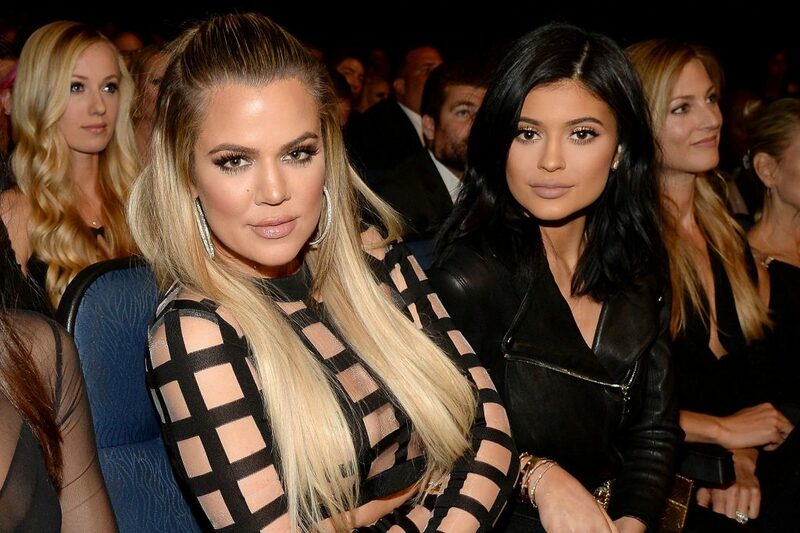 You probably know much about Kylie’s sisters- Kourtney, Khloé and Kim. The huge fans of Keeping up with the Kardashians might even know much about her brothers-Rob, Brandon, Burt and Brody. However, did you know she has another sister? Well, stick around and we shall tell you about the questions and many more other facts you didn’t know about Kylie Jenner. 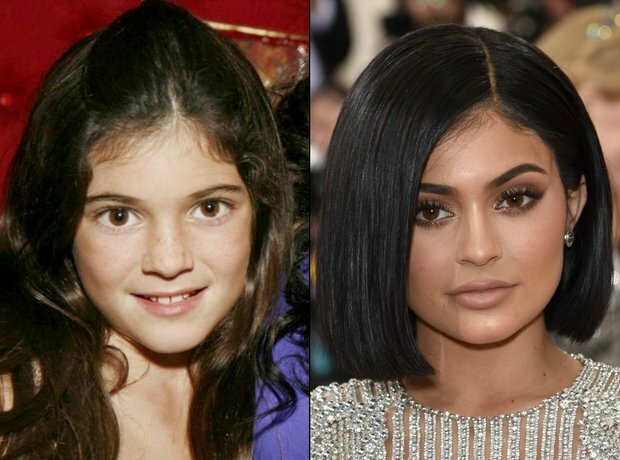 Kylie Jenner was only 10 years old when she first appeared on the reality show keeping up with the Kardashians. Being 21 years old, we can say she has spent half of her life before the camera. Of course, life on camera doesn’t necessarily show the factual reality of who she is in person. There’s a percentage which stays private and only close people know it. If you thought she was older when she first appeared on the show, now you have the fact. It’s not often that you find people named after their mothers. However, the Jenner family seems to have an appetite for their parent’s names. For instance, Kylie Jenner’s second name Kristin is borrowed from her mother’s name Kristen (Kris Mary Jenner). 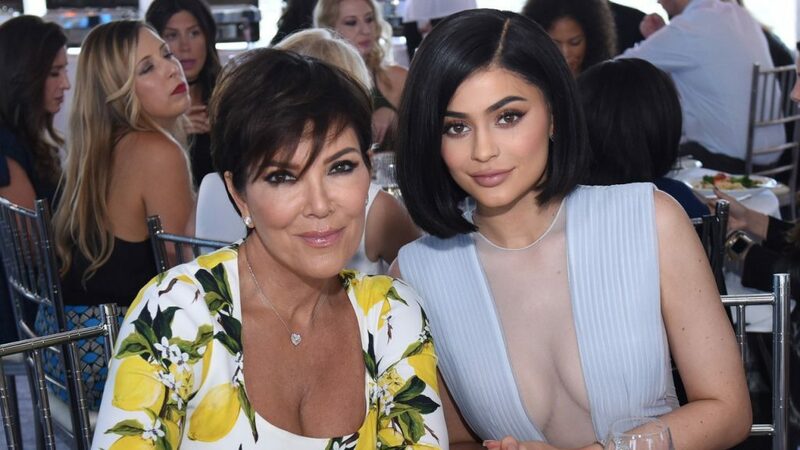 So, it might be quite confusing when you refer to a name like Kris Jenner given the fact that it could be used to refer to Kylie or her mother Kris Jenner. Just like Kylie, her big sister Kourtney also takes her middle name Mary from her mother Kris Mary Jenner. So, both sisters have taken one of their mother’s names. Perhaps to stamp their love for their parents, their brother’s name Rob is borrowed from his father Robert Kardashian. While Kylie has been seen mostly modeling and posing with outfit from different companies, her height and weight are just average. She weighs 139 pounds (63kg) and the height is just 5’6 (168cm). If you though she was some kind of a giant, now you know the truth that Kendall is actually the tallest amongst the family. If her appearance about 10 years ago on the keeping up with the Kardashians show is anything to go by, then we must give her credit for being a great pole dancer. In the show, she showcases her pole dancing prowess before her family in the bedroom and we all agree that she wasn’t just guessing. She did it with least hassle and although it might have been for fun, she deserves the credit for her stellar performance. However, Kylie admitted that this was the top moment she would most like to forget from her time on the show. Although Kylie Jenner loves chocolates, it’s ironical that she doesn’t like chocolate cakes. She admitted that she doesn’t like chocolate cakes although she is often seen on YouTube videos using chocolate eye shadow. In most of her cooking videos in her famous channel, Cooking With Kylie, it’s impossible to find any food made using chocolate. Instead, she features things like yams, burgers and other types of ingredients. Perhaps she’s keen on keeping her beautiful teeth intact, who knows? During her 18th birthday which was much publicized, her $3000 cake was made without a trace of chocolate which confirms she dislike for chocolate cakes. Instead, it featured some edible gold paints. It seems Kylie is closer to her Kendall than any other of her sisters. From being part of the cheering squad of their high school football team to writing a book together, there’s no doubt these ladies are quite close. 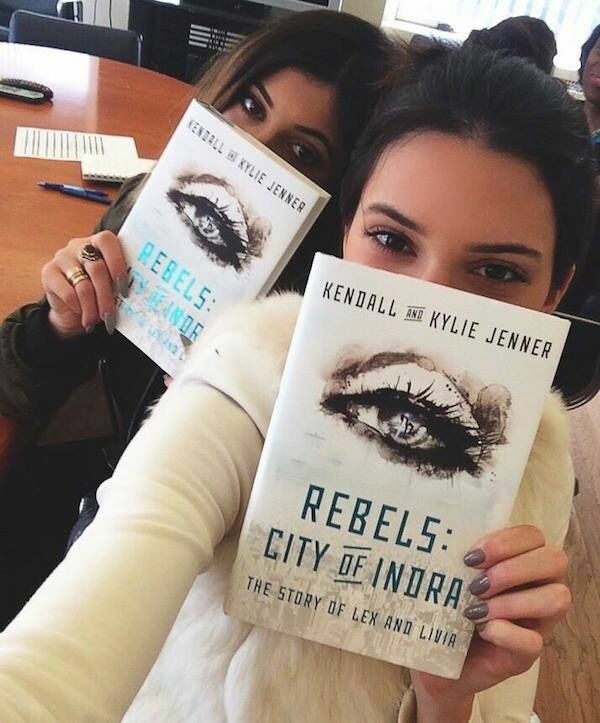 Of course, they were in the same school before deciding to do home schooling and they were leaders of the cheering squad where Kendal was the base and Kylie was the potter. Their sci-fi book “City of Indra”, focusing on some fictional characters and locations. It seems Kylie Jenner isn’t just good in business but also quite creative. Would you believe if I told you Kylie was once a cheerleader of her high school football team? Well, you’d better believe it because it’s a fact. Kylie and her sister Kendal were top of the squad of cheerleaders in the Sierra Canyon School located in Chatsworth, California. While Kendal was the base, Kylie was always the spotter. They were also in the same school with Willow Smith in the same school. When asked to pick the better of the two sisters, majority of the students found it hard to pick since it seemed both ladies had perfected their skills on their respective fields. Of course, this was before fame got the better of them and they had to do home schooling. Kylie Jenner admitted that she texts her sister over four times per week trying to get ideas on how to make various delicacies. From this, we can tell that Khloé is a much better cook. Or, do we have people who can direct others to cook but they can’t cook themselves. However, if you though she gets cooking ideas from the internet or elsewhere, then now you know the truth. If the show KUWTK is anything to go by, Kylie is closer to her sister Khloé than any of the other sisters. Although she seems to have been closer to Kendal while growing up, it seems the tables have slightly changed. This sounds ironical given the fact that she has spent half of her life before cameras. Ironic as it may seem, Kylie Jenner admitted that she doesn’t fancy being famous. Now that Kylie is a mom, it seems that she wants more than ever to follow through with her dream of retreating from the spotlight. Perhaps this explains why she keeps her life private compared to the rest of her sisters. Being among the most followed celebrities on the planet; it also seems funny that she doesn’t like fame. Perhaps some people just find fame following them when they don’t necessarily need it. While most people knew about the relationship between Tyga and Kylie Jenner when they officially made it public, there’s evidence that the two might have been at it long before that time. When Kylie was 14, and her sister was turning 16, she invited Tyga to perform at her sister’s birthday party. He also could be seen making some advances towards the then 14-years old Kylie. Or maybe it was Kylie making the advances towards Tyga. Either way, it’s clear the two had known each other way before the breakup between Tyga and Blac Chyna. Tyga was Kylie Jenner’s boyfriend before she turned 18. He bought her a 320,000 Ferrari for her 18th birthday. 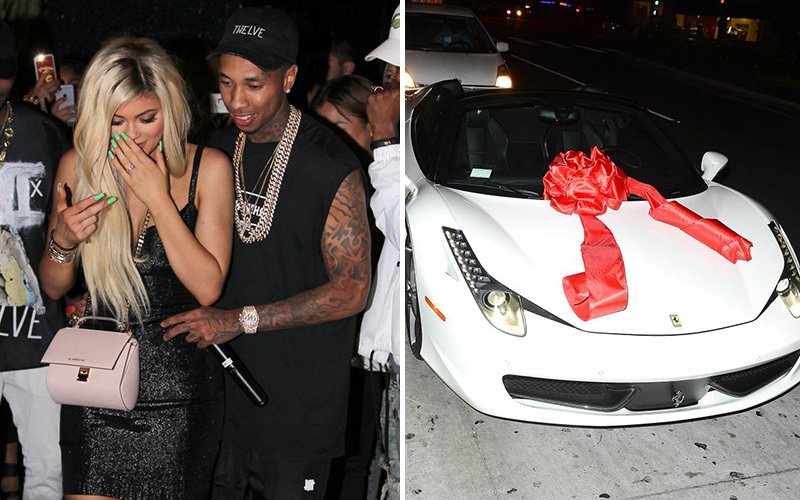 Of course, the gift triggered some online controversy when it turned out that the expensive car might have belonged to Tyga’s Ex-girlfriend Blac Chyna who also happened to be her former sister in law. 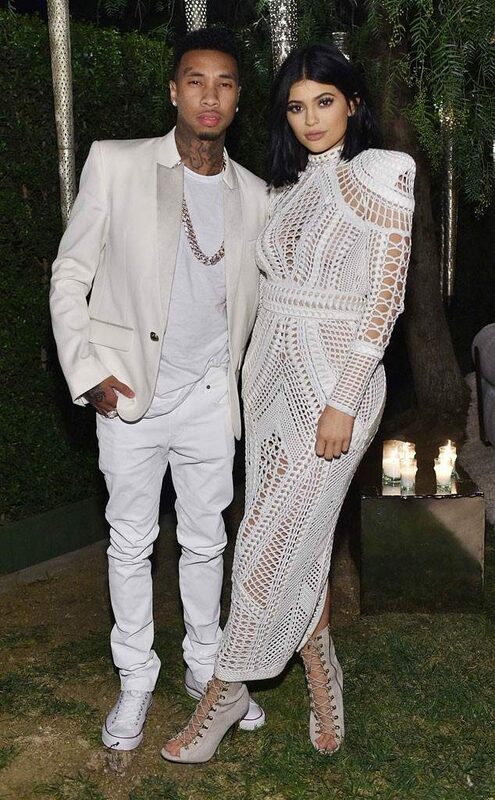 However, Tyga and Kylie were reportedly break-up after dating for two years. 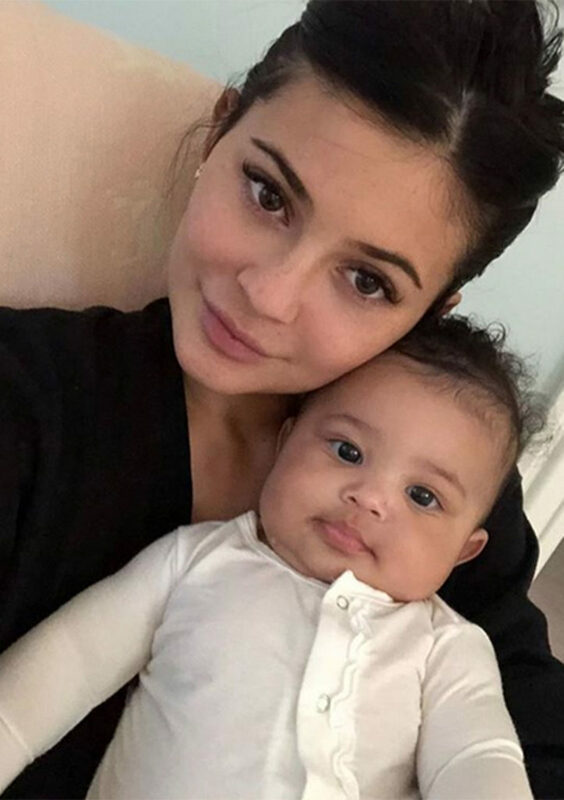 Later on, after Kylie gave birth to her baby girl in 2018, Stormi Webster, her first child with rapper Travis Scott, Tyga claimed demanded a paternity test as they were still sexually active. It’s funny how our role model would turn into an “enemy”. Well, in an interview, Kylie admitted that she indeed loved Nicki Minaj. When asked who she’d agree to switch lives for a day, she named her idol, Nicki. So, it came as a shock when Nicki dissed her in her music album twice. It must have hurt her but then that’s the life of being a celebrity. 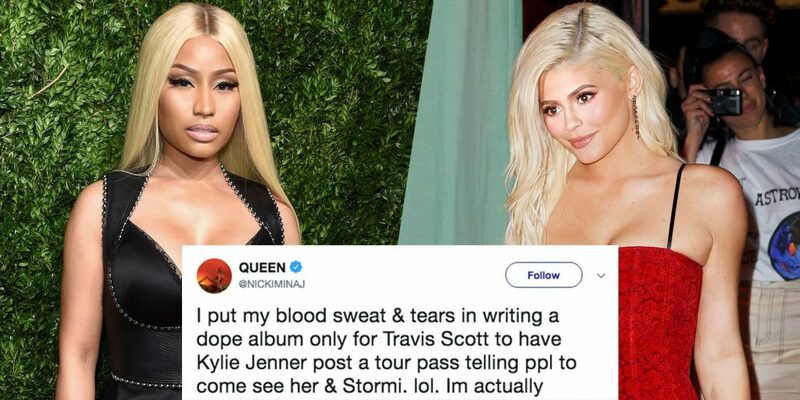 Although it’s not clear if Kylie changed her perception about Nicki, the shade must have hurt how she felt about her musical idol. Your favorite star is an August baby. Perhaps this explains much about her life. For instance, Leos are known to shoot to fame easily perhaps the reason why she got to the limelight at a tender age of 10. Also, people in this star are known to be hard working and ambitious. They are also creative which explains why she keeps coming up with new brands of cosmetics. Of course, creativity is also seen when she writes a book with her sister. It turns out Kylie is a true reflection of Leo women. Most last borne kids seem to be messy. Of course, Kylie is the youngest of her sisters so that might explain why she’s excused to be messy. In a recent interview in the Ellen Show, Kylie’s sisters Khloé and Kourtney picked out Kylie as the messiest in the family. After all, she has her big sisters to do the tidying up. Anyway, with money, does it really matter whether someone is tidy or not. One can easily hire people to do the tidying. If you are a staunch follower of Kylie Jenner, then you must have picked a fact you didn’t know about her. Now that you know she reads her Instagram comments, perhaps you can go ahead and ask her about what you’ve learnt today.